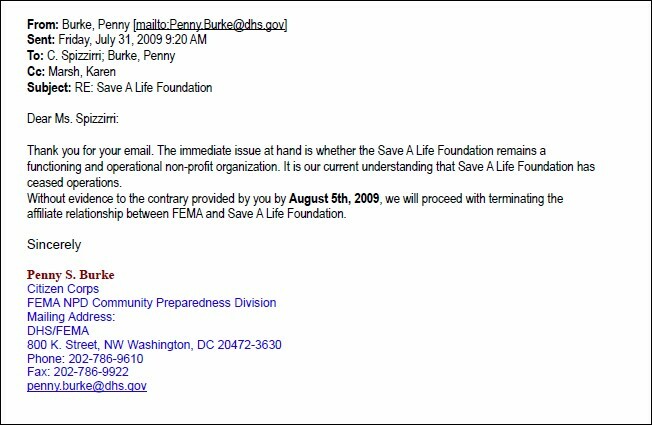 The Save-A-Life Foundation (SALF), a Chicago-area nonprofit that has been the subject of dozens of critical media reports since November 2006 and which is now the subject of federal and state investigations, became a member organization of the Federal Emergency Management Agency (FEMA) in January 2003. 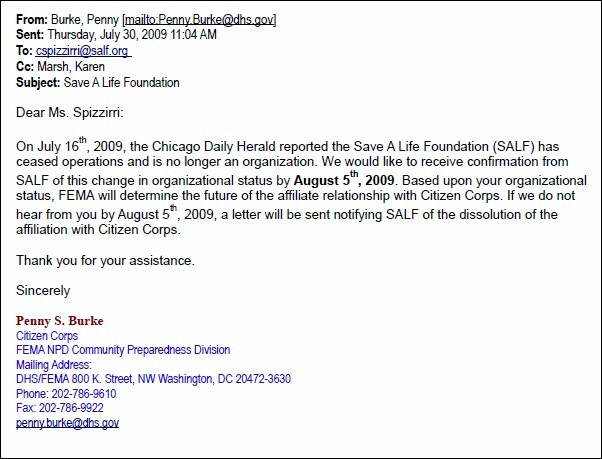 On September 17, 2009, after SALF founder/president Carol Spizzirri filed for voluntary dissolution as an Illinois corporation, her organization went belly-up. Just weeks before, per these records I obtained last week via a Freedom of Information Act request, Spizzirri's organization was dumped by FEMA. Since mid-2010, SALF has reportedly been under investigation by the Illinois Attorney General. The US Centers for Disease Control and Prevention (CDC) awarded SALF about $3.33 million. 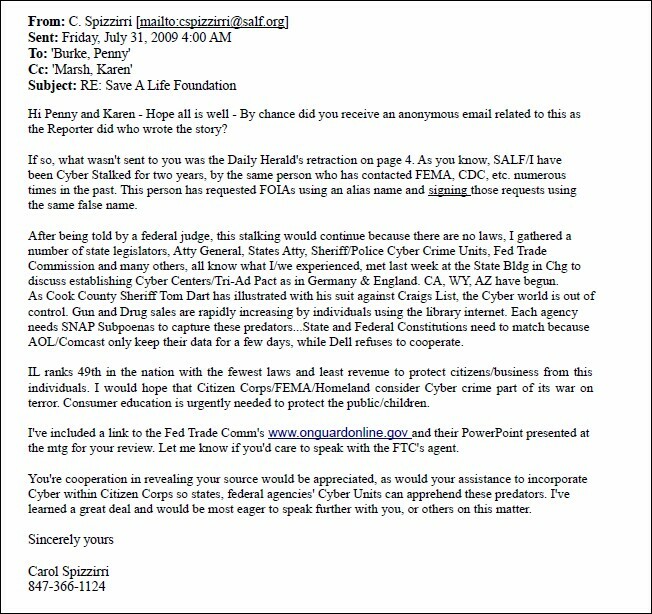 In November 2010, the Inspector General of the Department of Health and Human Services recommended that CDC review the role of SALF's corporate treasurer, CDC executive Douglas R. Browne. SALF received no funds from FEMA. As for Spizzirri - who, according to the San Diego Reader, once "was a darling of politicians and bureaucrats, although it was a matter of record that she had been convicted twice for shoplifting" - she's now living in a mobile home park in San Marcos, California.